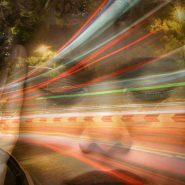 I went to sleep last night with my mind racing, and when I woke up this morning, it was still racing around–worrying about this and that, unable to focus or think straight about my logical next step. 7 years ago Rabbi Nivin referred to this confused, overwhelmed mental state as: “Having too many windows open” cause back then, if too many windows and programs were open on your computer, the computer would start working really slow, overwhelmed-mind style. The solution, Rabbi Nivin suggested, is simple: wait until you calm down and your mind clears and then try to problem-solve whatever needs problem-solving. Pre-Tisha-B'Av Scrumptious Dairy Food Celebration? wow, what an honor–I made it onto one of sara’s famous chizuk cards! I love the feet analogy! Its excellent spot-on advice! 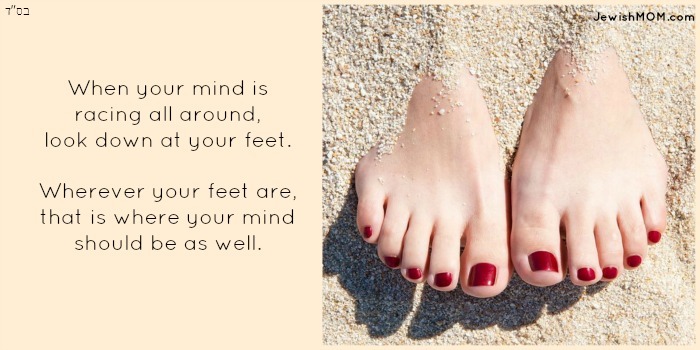 Wherever your feet are – your mind should be as well. it means that you should focus on where you are “standing” instead of racing around in the endless circles of thoughts. it’s a way to force our minds to stop running and focus on one thing. starting with focusing on where we “stand” right now is one technique to stop the race…. “stand” – spiritually? or what? Thanks for the explanation. That makes more sense now and is definitely something I can relate to.